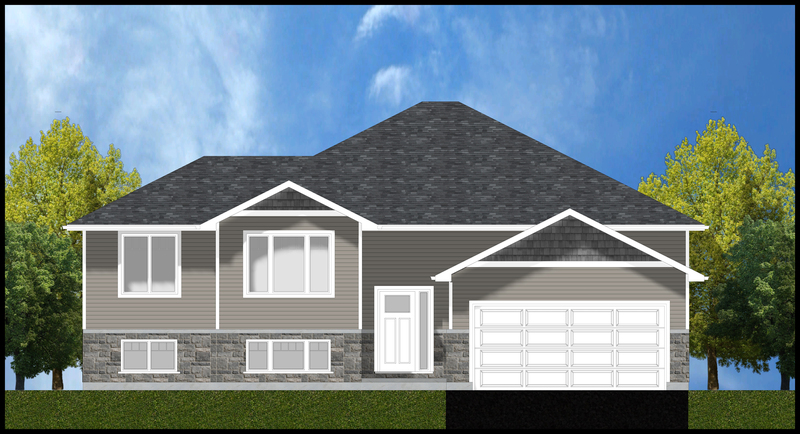 The Gabriella Model is a grand split entry home. The front door opens into a spacious foyer, with access from the garage as well. The entry closet is situated at the top of the stairs to the main level. The stairs enter into a hallway at the top, creating privacy for the home at the front door. On one side, the hallway leads to the living space to the rear, two bedrooms to the front of the home, and the main bathroom tucked at the end of the hallway. To the other end, the master suite is situated. 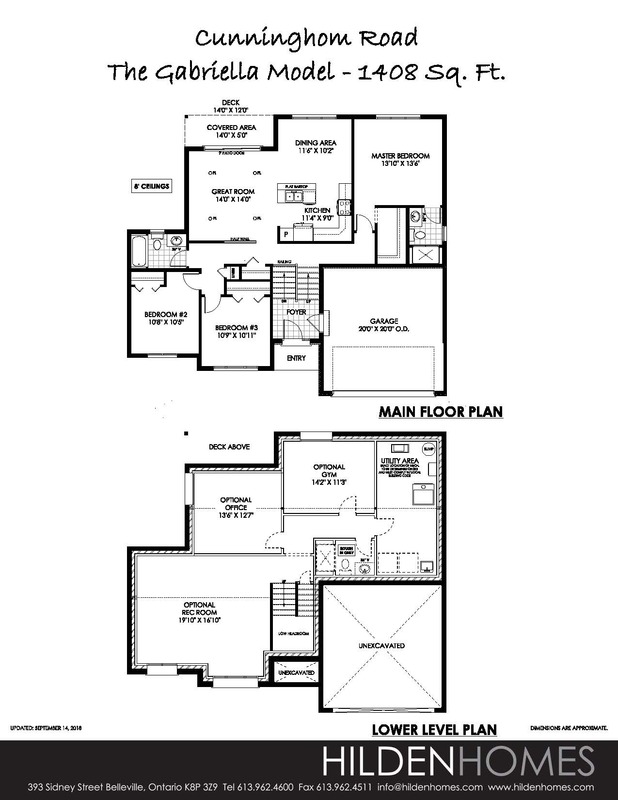 The large master features a spacious walk-in closet and a modest, private ensuite. The living space is isolated from the rest of the home and creates a cozy area overlooking the rear yard. The large great room has a grand patio door leading to a partially covered rear deck. Beside the great room, the kitchen is small but functional, with an island facing the dining area. The dining space has a large window out the back, providing light and a view for the kitchen. The lower level remains unfinished.